For everyone wondering what the forecast will be for the winter of 2018 - 2019, we have a pretty noticeable 'conundrum' as NOAA has once again relied upon their model while noted and pretty accurate weatherman Joe Bastardi has gone in almost the exact opposite direction with his model. Oh jeeze....that doesn't look right...in fact, each forecast model is the opposite! That’s Joe Bastardi’s map, but they got the colors wrong. The trouble with NOAA modifying all the past records is they end up believing their own propaganda. That seriously impacts the accuracy of their own forward looking projections/predictions/forecasts and guesses. Major cold and stormy winter is in the cards.Could simply evolve into it from fall. I can only imagine someone using the line about winter, "In other news, upcoming cold and snowy winter, nothing else to report...."
Maybe so, maybe so, but if you read the conclusion of the 'Weather Bell' forecast they note an eerily similar weather pattern that occurred in 2002, and which this year the weather pattern has followed. The bottom line here is I would be looking closely at the winter of 2002-03 and 2009-10 as that is where it could go, but the blended four analogs are where we are now. The winter of 2002-'03 was an El Nino winter and started a stretch of snowy winters across northeast Ohio and northwest Pennsylvania. Of course with weather, retrospective observations are much easier to draw a comparison to what we could expect in the coming winter months. The grave issue that is continuing to plague NOAA is it's consistent history over the previous two decades of outright bias in their climate models and relying on "adjusted data (by them of course) instead of what scientist normally rely upon in raw data in developing their models." No doubt as the ideological progressive religious-like mantra of "climate change," and the economic implications from, have become the preliminary driver whenever weather is looked at in the past (the adjusted data) and of course with the future of the heating and cooling of the climate on planet Earth. Here NOAA has severely under performed in forecasting weather, especially severe storms due to their continued use of the Global Forecast System (GFS) in contrast to the European model (ECMWF) of which most meteorologist agree has a much greater degree of accuracy in predicting both storm tracks as well as with short and long range forecasts. 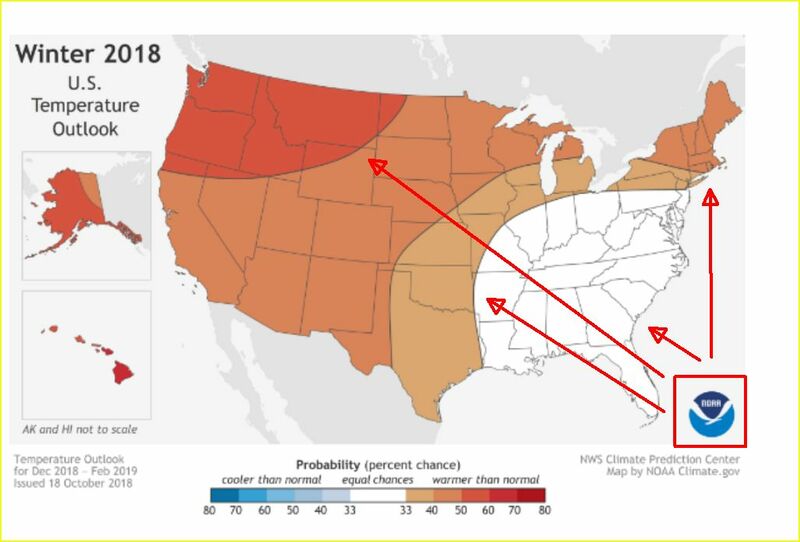 Nonetheless I have brought this up since I have spoken to a few for-hire owner/operators about what is coming for the winter, and of course most feel it is like the probability of a coin flip with a 50 percent chance either way that the winter weather being worse than what NOAA has predicted. I do hope some of your remember this little thread come next April to see who was more accurate in predicting the upcoming weather this winter. 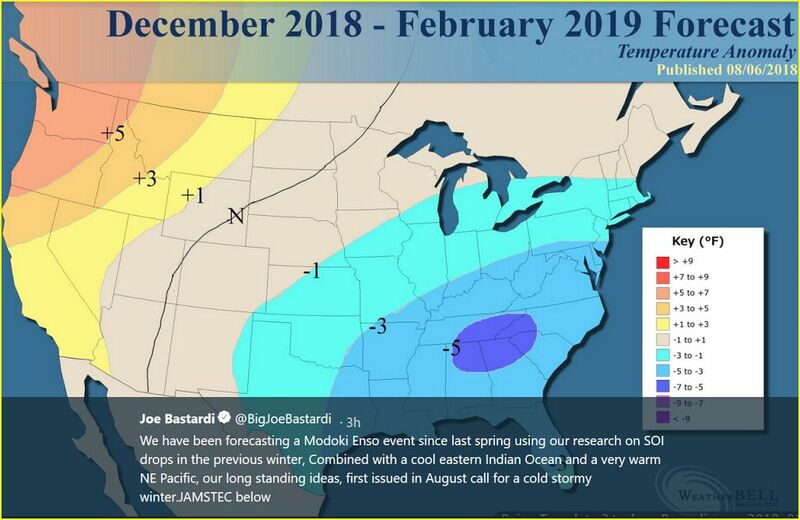 I do believe it is going to be very interesting, but my pension dollars are on Joe Bastardi once again being "more on the money" than NOAA when it comes to correctly predicting the weather. Sad but true at this point. Ps...if you doubt anything here, take a closer look at the Weather Bell analytics and the detailed reasons for their predictions.